Of all of the times to entertain throughout the year, I think that summer entertaining is my favorite. 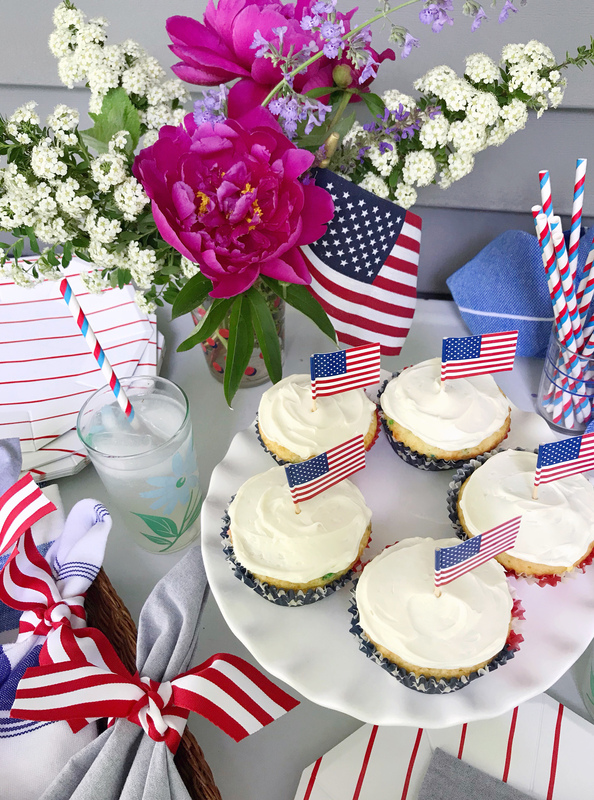 It’s typically casual and laid-back, means we get to fire up the grill and eat outside, and often uses my favorite color palette: red white and blue! 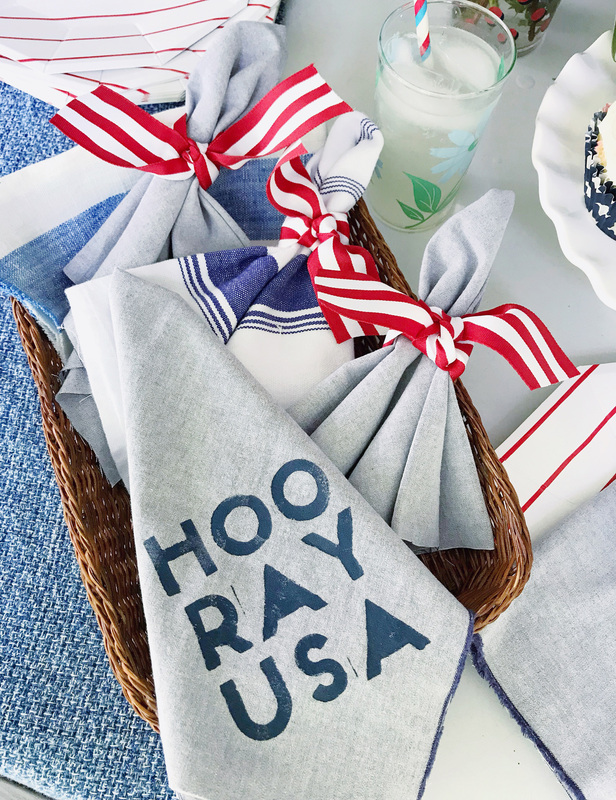 The easy DIY chambray napkins I have to share today are perfect for all of those elements that make summer entertaining so special. 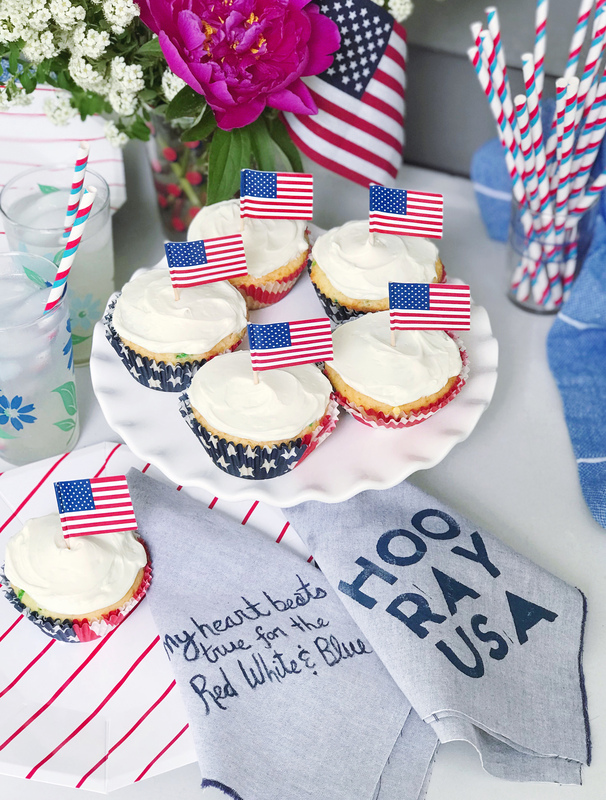 This set that I made for upcoming Fourth of July celebrations has a patriotic twist, but they could be customized with monograms for bridal showers, dates for anniversaries or birthdays, or even some simple shapes for a graphic design. 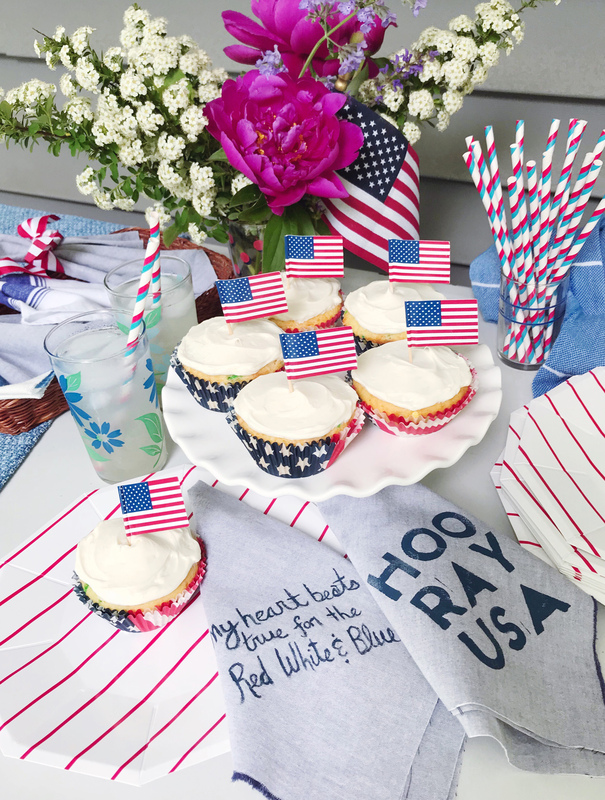 To make these patriotic napkins, I started with some lightweight chambray fabric. I cut the fabric into 20″ squares for a dinner-sized napkin. I left the edges unfinished for a casual look, removing any loose threads. You could sew a border around the edges of the napkin to give them a more finished look and help them retain their shape after washing. To customize the napkins I used two different techniques. The first was using hand-drawn text with a pencil and then going over my outlined script with a thin paint brush and fabric paint. The second set, for a bolder and more graphic look, was to stencil the letters onto the napkin. I bought a pack of alphabet stickers from the craft store and removed the stickers, leaving the negative space around each letter. That negative space makes a perfect stencil on the fabric as it sticks directly to it! Fill it in lightly with the fabric paint and then let the paint dry fully before removing the sticker material to reveal your design. 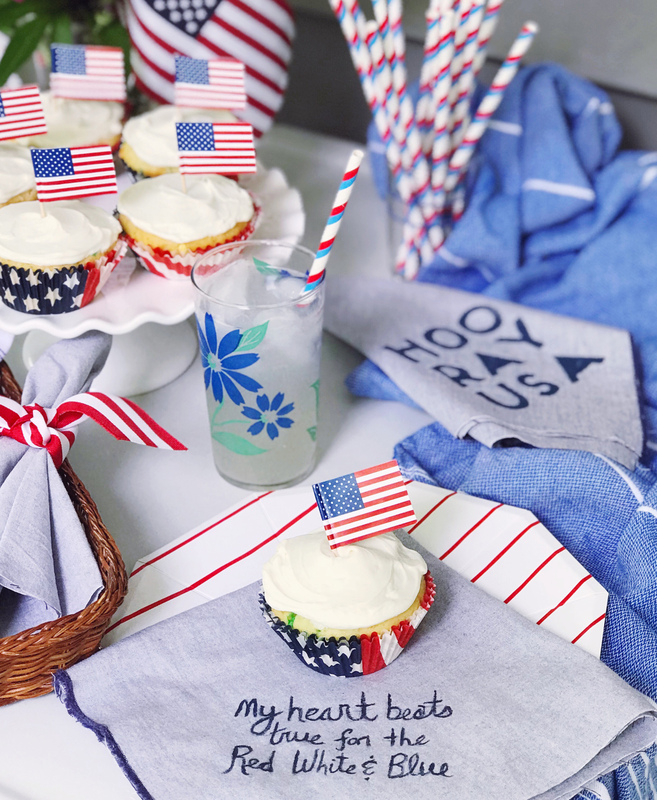 Give each napkin a press with a warm iron before using them in your festive, patriotic summer table settings! Bachelorette Party Swag Bags. Garlic and Herb Whipped Goat Cheese Dip.